Senior Day marks the final home game of the season, as well as the last home game for the Seniors that have sacrificed for their team and their school. Saturday is a day we honor them. The 2018 Senior Day features a matchup between the Auburn Tigers and the Liberty Flames. Liberty is enjoying their first year of FBS play. This is the first meeting between the Flames and the Tigers; however, that doesn’t mean that there aren’t connections between the two schools. 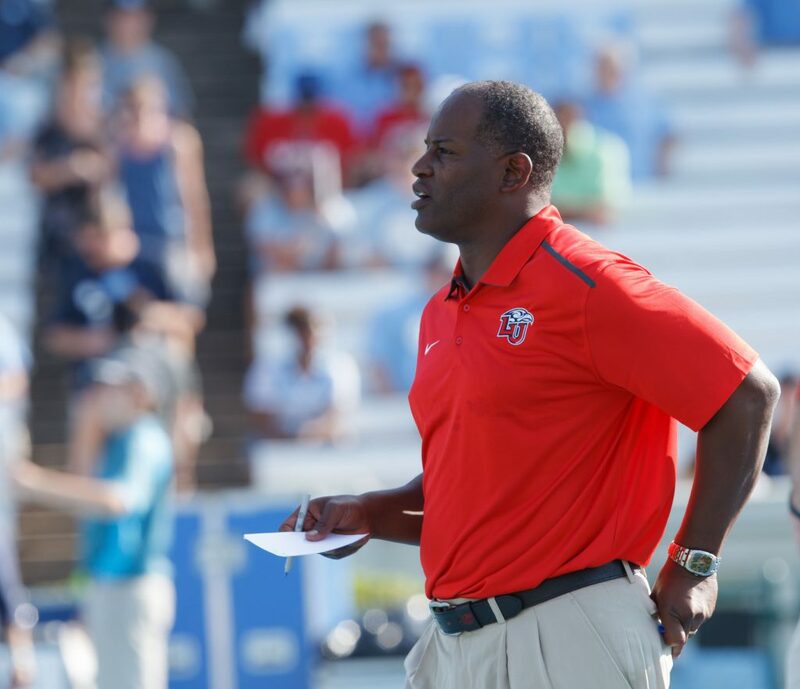 Turner Gill, who was almost the head coach at Auburn, enters his 7th season at Liberty with a 45-33 record. All time, Liberty has amassed a 250-203-4 overall record since they began play in 1973. Though Turner Gill was denied the head coaching position at Auburn, and it was ultimately for the best, hindsight is 20/20. Though it got through the grapevine that Auburn will hire Gill, he was ultimately not offered the job and it was given to Gene Chizik. Chizik hired Malzahn and Malzahn lured Cam Newton to Auburn and the 2010 National Championship came home to the Plains. Gill, on the other hand, did not experience such success. Gill secured a job with the Kansas Jayhawks where he lasted 2 seasons in the Big 12 and finished with a record of 5-19 with 1 conference win. Gill then went to Liberty where he has spent the last 7 seasons as the head coach. In his time as Head Coach, Gill has recruited and maintained a potent offense. Liberty can move the football and they can score points. Liberty ranks 17th in passing offense (304.4 YPG), 28th in scoring offense (35.4 PPG), 22nd in total offense (463.7 YPG). In fact, Liberty scored 52 points vs ODU, 52 points vs New Mexico, 41 points vs New Mexico State, 48 points vs Idaho State, 59 points vs UMASS, and 24 vs a strong defensive Virginia team. Defensively, it’s another story completely. The Flames rank 123rd in scoring defense (39 PPG), 121st in rushing defense (236.11 YPG), 116th in passing defense (272.7 YPG), and 127th in total defense (508.8 YPG). Though production on each side of the ball is vastly different, success in the win/loss column hasn’t been too bad for a team that just made the jump to FBS. The Flames have a 22-16 win vs Troy. Amongst a win against a team from Alabama, Liberty scored 52 points vs ODU, 52 points vs New Mexico, 41 points vs New Mexico State, 48 points vs Idaho State, 59 points vs UMASS, and 24 vs a strong defensive Virginia team. Even though the Flames can’t play in the post season due to arbitrary NCAA rules, the Flames have 4 wins this season and could potentially be a solid G5 team next year. A big headline on Saturday will be the Seniors. 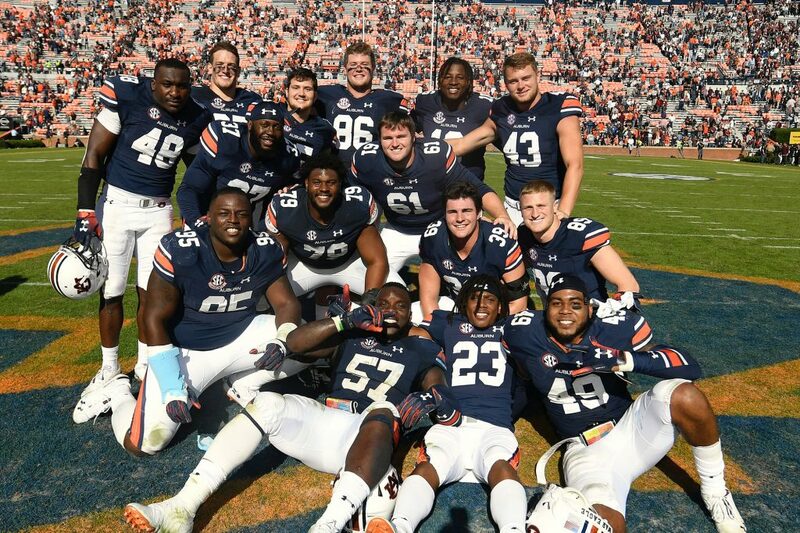 Auburn fans will get a chance to say thank you to the seniors that have sacrificed for the last 4-5 years and given all they have for this team and school. Devin Adams (#16), Ryan Davis (#23), Chandler Cox (#27), Will Hastings (#33), CJ Tolbert (#37), Robert Muschamp (#39), Ian Shannon (#43), Chase Cramer (#45), Montavious Atkinson (#48), Darrell Williams (#49), Deshaun Davis (#57), Ryan Meneely (#61), Juanta’vius Johnson (#62), Andrew Williams (#79), Dalton Brown (#82), Tucker Brown (#86), Griffin King (#89), Dontavious Russell (#95). THANK YOU SENIORS!